Amsterdam Boat Rental - Luxurious Private Boat With Skipper And Host! The city is known for many things –its iconic canals, historic cityscape and, of course, our Amsterdam boat rental! – So why not combine all of these things in the best way possible during an unforgettable boat ride? 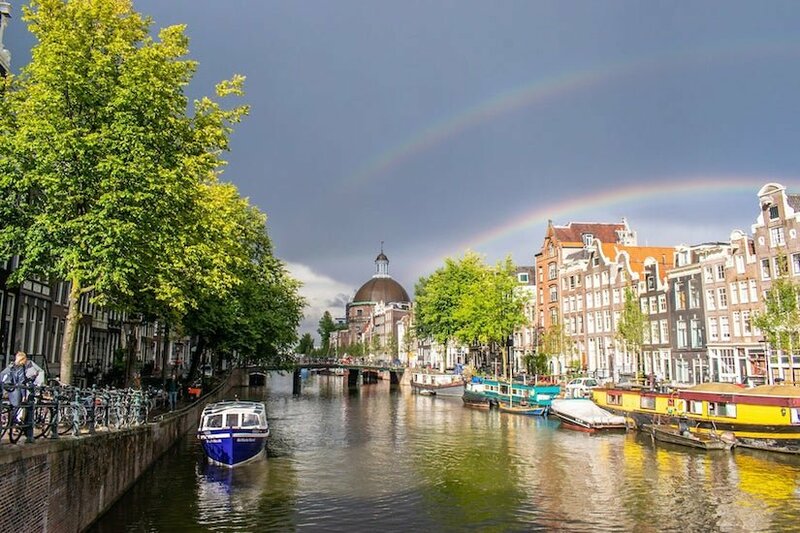 No trip to Amsterdam is complete without a trip out on the canals so let us create the highlight of your visit! Come and enjoy our unforgettable canal cruise. This private canal boat hire for up to 40 of your guests takes you through the most scenic sections of the UNESCO heritage site in Amsterdam’s historic city centre. Gliding along the world-famous canals on our brand-new electric boat (complete with heated pillows and a retractable cover for when the weather turns! ), your party can enjoy the sights of the city in complete comfort and luxury, guided by our professional skipper and host. Instead of jostling for the best view on a public boat cruise, why not enjoy a relaxed and comfortable cruise through this picture-perfect city on our boat? Let the skipper do the hard work, enjoy the highest quality of service from our informative and entertaining professional hosts, and just sit back to enjoy the ride! 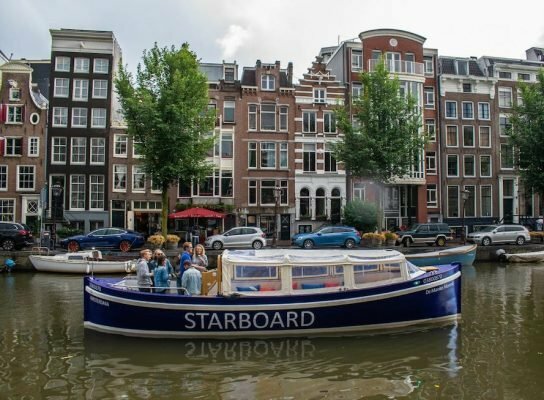 This private boat tour in Amsterdam is a fantastic way to see the best of this beautifully picturesque city, and with an hourly rate of 195 euros for up to 40 people offers great value. 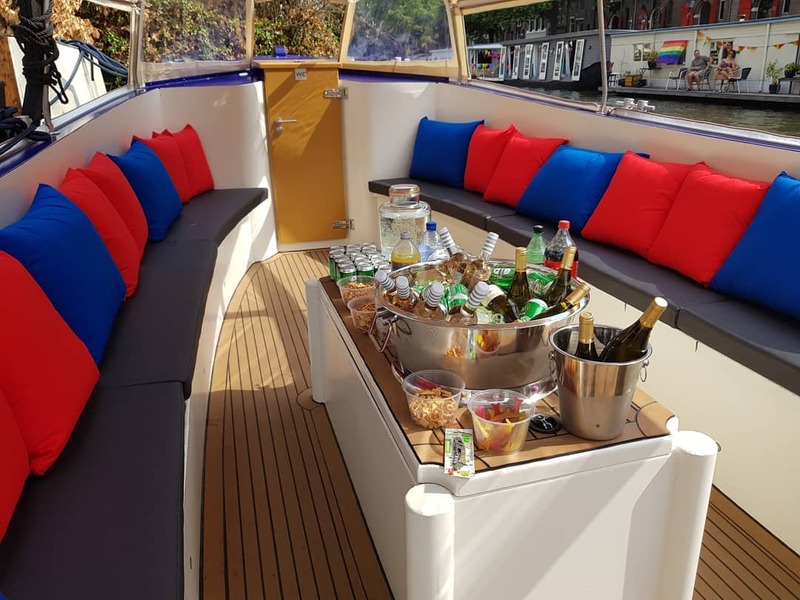 With starboard boats’ canal boat hire, everything is possible and we aim to provide as much flexibility as possible to ensure that your group has the perfect boat cruise. A variety of drinks and delicious food can be provided on request and all provisions can be tailored to the requirements of your group. This is the perfect way to celebrate a special occasion with friends and family, or simply to enjoy a great afternoon gliding through the tranquil canals whilst marvelling at the world-famous canal belt architecture of this iconic city. 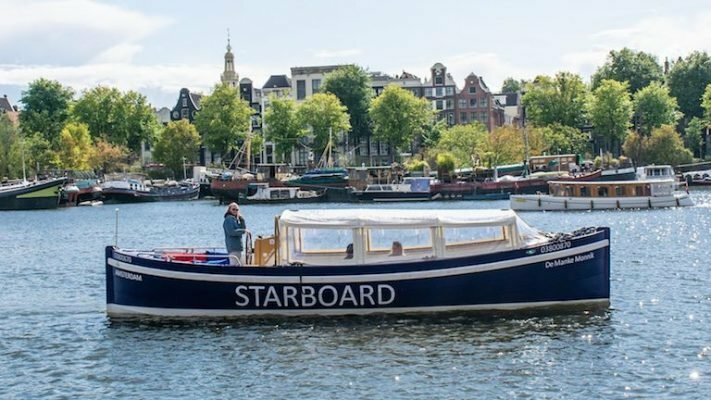 For the perfect Amsterdam boat rental complete with professional skipper and host, contact us now or click the ‘Make your reservation’ button on the right side of the page! Please be aware that we are fully booked on King’s day 27/04/19. You can enjoy the electric boat ride for at least for 90 minutes including drinks, comfortable heated pillows and great service. What service? Our professional skipper will be sailing one of our luxury boats and our host will be entertaining you through the canals! So if you desire to experience a private cruise in Amsterdam… this is the best way to do it! 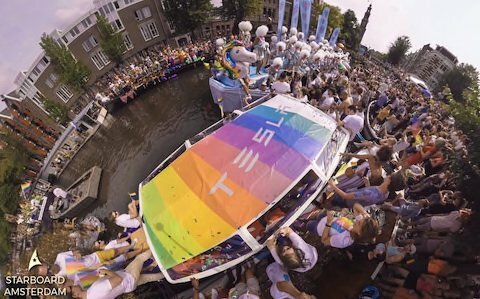 Just let us know a date, preferred time and number of guests, and your Amsterdam boat tour can start! Whether you’re celebrating a special occasion in style, or just searching for a perfect day out with friends, we offer the flexibility to provide an unforgettable private canal cruise. If you want to experience some quality time just with your friends or family this is a great option for you. 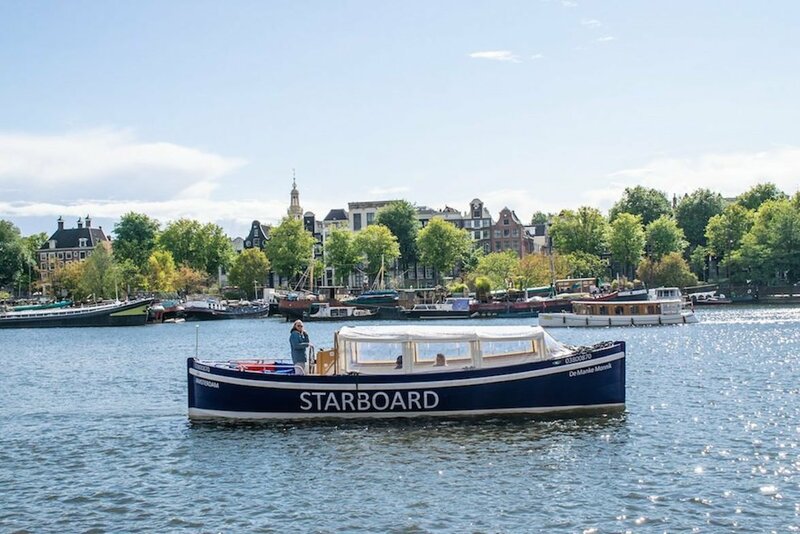 One of our captains will show you the best boat experience in Amsterdam, leaving you to focus on the important things – kicking back and soak in Amsterdam’s laidback atmosphere and world-famous unesco heritage sights. This unforgettable experience is waiting just for you. Make your reservations below and let your canal cruise begin!